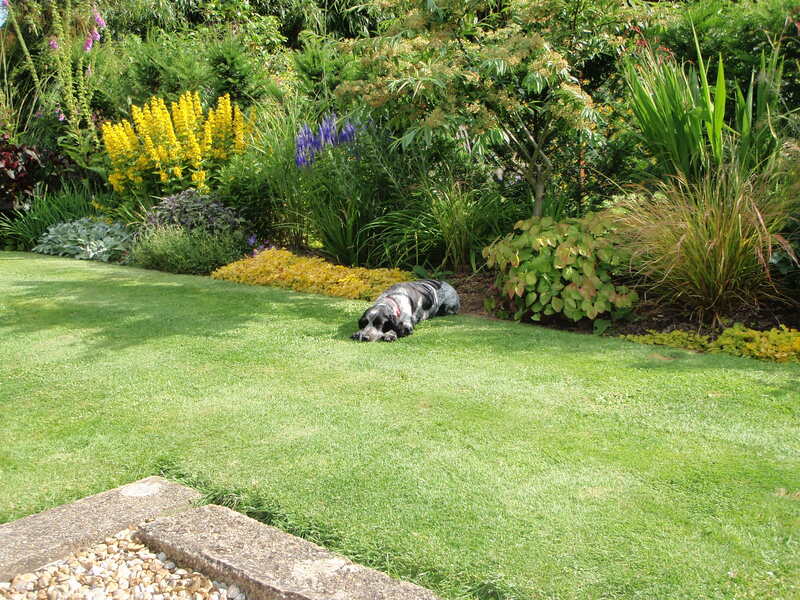 Lawns are easier to keep than some people think, especially in the temperate UK climate. ‘Feed, weed and mosskiller’ preparations are not great for wildlife and should be used extremely sparingly in April, if at all. The most important single thing you can do for your lawn is mow it regularly to encourage short, compact grass plants. If the lawn gets overly wet in the winter, spike it deeply with a fork and brush horticultural grit into the holes to aid drainage. Rake out moss in the spring and feed the lawn with either a liquid feed or granular nitrogen at 6-week intervals from April to July to promote vigorous growth and help combat drought.